‘ What happens to termites During winter termites are heavily influenced by climate . The subterranean termites dig deeper into the soil during colder climates , way below the frost line to stay warm. 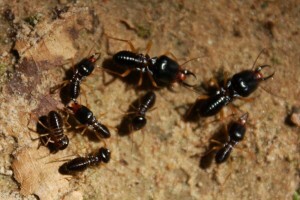 Dry wood termites will seek dry wood for shelter. which often can be our homes. Termites are active year round when temperature.